Hatley Moore grew up in Tyler, Texas with a love for TV and movies. He’d always been interested in learning about the actors and directors but it wasn’t until he was in college that he realized making TV was something he could do for a living. For years, Moore wrote and contributed to BLEEP Magazine, writing about…you guessed it…movies and television. His editorials were smart, funny, and right on the pulse of what was happening in pop culture. Perhaps his eye for what’s real is what made him such an effective producer on the HGTV culture-defining hit, Fixer Upper. He and I talked about that and more; to get a peek behind the curtain at the man who spends his life producing television. When did you first figure out that the shows on television and on the big screen were made by people and that you could be one of those people? It’s hard for me to narrow it down because I’ve always had an obsession with movies and TV. I was always very interested in it and early on, I started wishing I was part of that world in some way. The one job I really had no idea what they did was producing and that’s what I ended up doing. It’s such a complex web of a job; there are so many different parts to it. It’s not until you work on a show that you really understand what’s going on but the idea that people made this thing that ended up on the screen was something I knew early on. So then, at what point did it transition from being an interest to being a career? I went to Baylor with the idea of getting an accounting degree. I didn’t know what I wanted to do and that sounded good but I realized pretty quickly I’d be miserable if I did that. Since I’d always loved TV and I got to know some of the professors in the film program, I realized maybe this was something I could do. How did you lean into producing as opposed to other aspects of the business? I was interning for a production company in New York that did a lot of advertising. I loved working with that company and they were good with giving us the opportunities to be on the sets. That helped things fall into place for me. I never realized there was a creative aspect to producing as well as the paperwork stuff. And, in reality TV, the producers are really the directors. 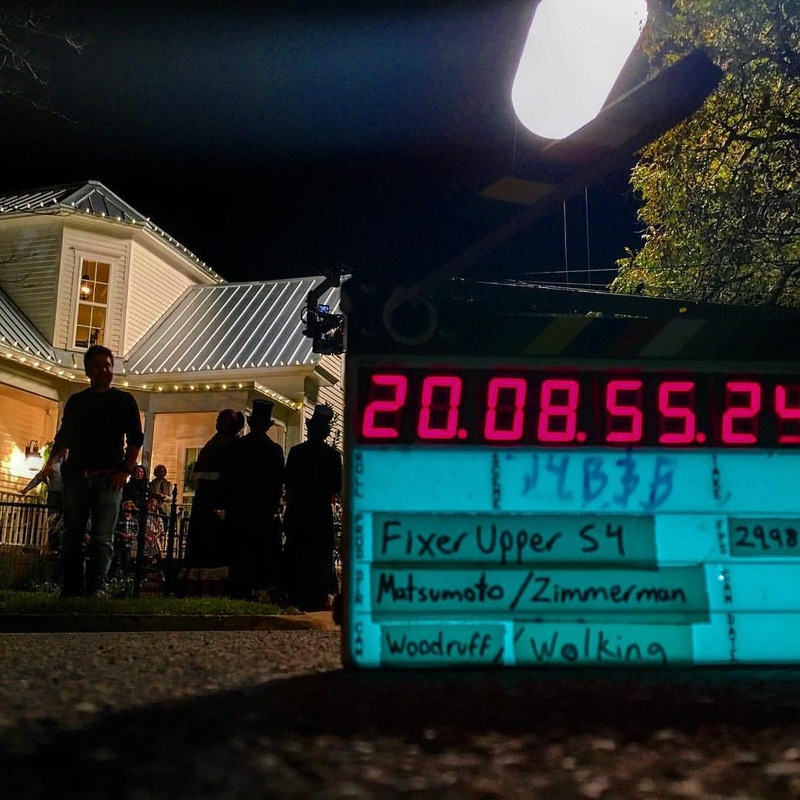 So, I did the PA [production assistant] thing on many random projects and when I moved back to Waco to work on Fixer Upper, I had the opportunity to really decide the producing route was what I wanted to do. So tell me, what is the appeal of producing for you? What keeps you in the game? I love producing and it’s the most fun when you have to produce the least. By that, I mean when you have the right talent, you’re able to really look at these people’s lives—because you’re a part of their lives at that point—and you’re just making stories out of their lives by watching them firsthand. It’s fun to bring these stories out of real people. Still, when you shoot reality, it’s a challenge. Last week I watched a radio get sanded and painted for three hours. So I’m watching this thing they’re doing that’s interesting and then I have to figure out how to take three hours of this thing happening and turn it into a story that’s concise in three minutes. That’s really fun for me. I started in February of 2015. They were just finishing up the last few houses for season two and in a few weeks we’d go straight into season three. I was out in the field with them for a year-and-a-half which was all of season three and the first two-thirds of season four. I started on season three as a PA, on season four, I became an associate producer in the field before moving up to Denver through season five as a post associate producer. I can only imagine with all the moving parts and components of that show that there were a great many challenges and that the experience stretched you in numerous ways. That show will always, for the rest of my life, be a special time. The show was three years of my life and in those three years, it was a whirlwind both personally and professionally. In those three years, I relocated, got engaged, married and then divorced. So many major life changes happened throughout my time on the show. Fixer Upper turned into the stable part of my life. We really did become a tight-knit family. In the time frame of when we started shooting season three, it was around the time Chip and Jo were becoming more known and people were talking about them a lot. We who were working on the show were actually late to the game realizing they’d become famous because everyone in Waco already knew who they were. We didn’t know how big it was getting but once we realized what was going on, it was so interesting to be very close to it and be able to watch it happen. There aren’t very many people who can say they were there to see something like that show and the hosts skyrocket into notoriety. There were some challenges that came with that though. For one, there were higher expectations. You really had to be on your “A” Game and you had to be more strategic because as they were getting more famous, it became harder to navigate. If anyone in town knew where we were filming, then hundreds of people would show up. I went to Baylor in a time before Chip and Jo were famous; when Waco was known mostly for Baylor’s football team being horrible and for David Koresh. Now, Waco is having this huge, positive thing happen inside of it. It was crazy. The show changed the city. It’s nothing like what it was a few years ago. But even with all of that, we had to make sure what was on the screen was still real because that’s what made the show special. What you see is real which made it more fun for us. I know there’s a lot of reality TV that’s not real, but it’s more fun when you can really show what’s going on. That’s what we did, they got really famous really fast, and things got crazy. A whirlwind is a better way to describe it. For it to turn into the biggest HGTV show of all time and to be a part of that while also learning how to do this “producing” thing at the same time, it was a whirlwind. What was the most surprising thing about being a part of that show’s meteoric ascent? It surprised me how much joy it brought to my life. I don’t know if I’ll ever have an experience again where it was so much fun and we were all so close. 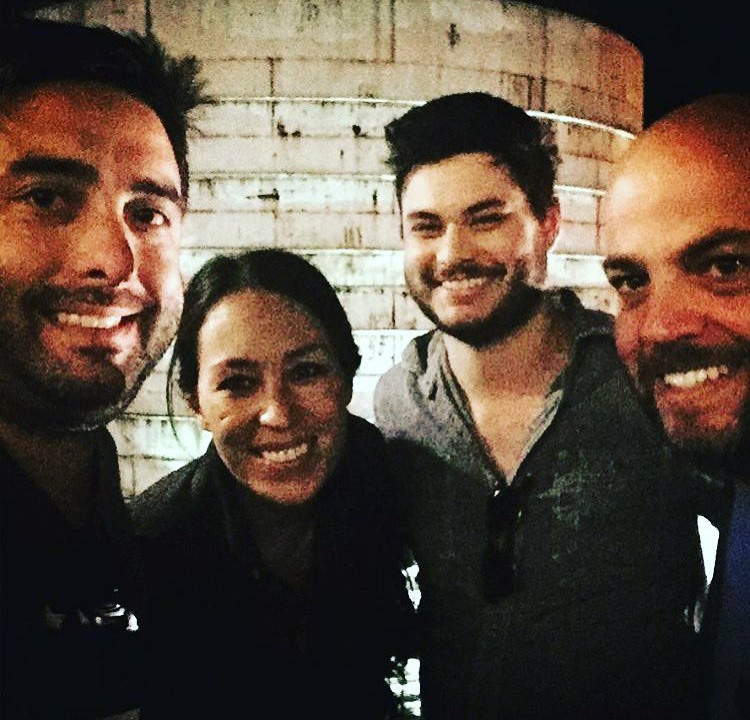 You don’t always have people as great as Chip and Jo as the people you’re putting on TV. We were able to show these good people doing good things and we know it was all sincere because we were there. I think the one moment of that entire show that brought me the most joy was when we did a house for one of my friends from college. I will never forget looking in the monitor and watching someone—someone who’s been a friend for years—see their new house revealed. The reaction of so much excitement was amazing. It’s fulfilling to know you were a part or something that brought a lot of joy to people. Now that you’re working in the industry, what drives you to continue? I think it’s what I’m just meant to do. I love it so much and having the opportunity to be creative and then get paid for it, it’s kind of the best case scenario. You will never stop learning while doing this either. Everyone wants to try new things. TV is something that’s always evolving and changing and being a part of something that’s never stale, it really does drive you to want to keep moving forward and grow with it as the industry changes. 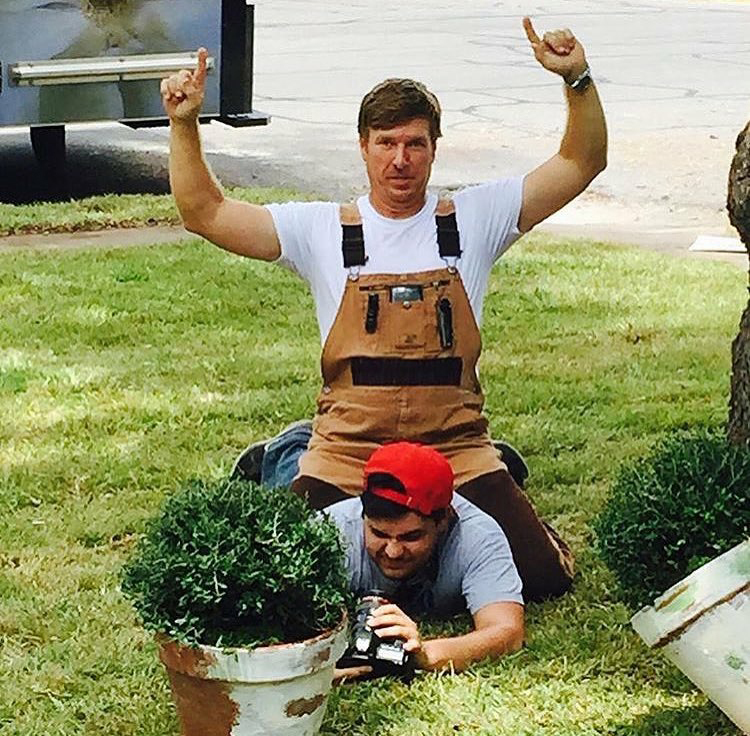 What are you working on now that Fixer Upper isn’t on the air? I’m working on two different home renovation shows. One is called Good Bones and another will start airing next year. Both are genuinely great shows which makes it fun to work on. I am. It’s a weird industry because you have to be okay with the unknown. You’re never fully stable and you don’t know what might be next which is exciting but kind of terrifying. I love being able to do what I love and live off of it. That’s probably the biggest blessing I could ask for.